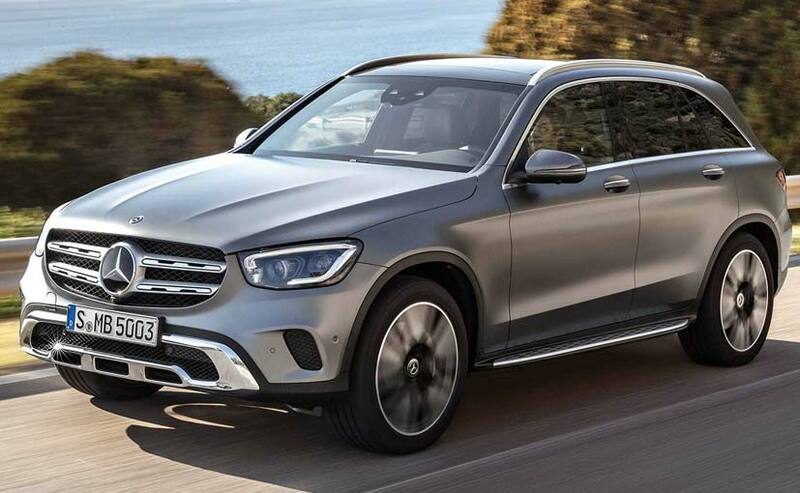 The new 2020 Mercedes-Benz GLC SUV now more stylish, smarter, better-equipped, and comes with the company's next-generation petrol and diesel engines. Mercedes-Benz has finally pulled the wraps off the 2020 GLC SUV, ahead of its official debut at the Geneva Motor Show, next month. The new 2020 Mercedes-Benz GLC SUV now more stylish, smarter, better-equipped, and comes with the company's next-generation petrol and diesel engines. Furthermore, the new GLC also gets the company's AI-based the latest generation of the MBUX (Mercedes-Benz User Experience) infotainment system. This, of course, is in addition to the several drive assistance systems that the 2020 model has to offer. 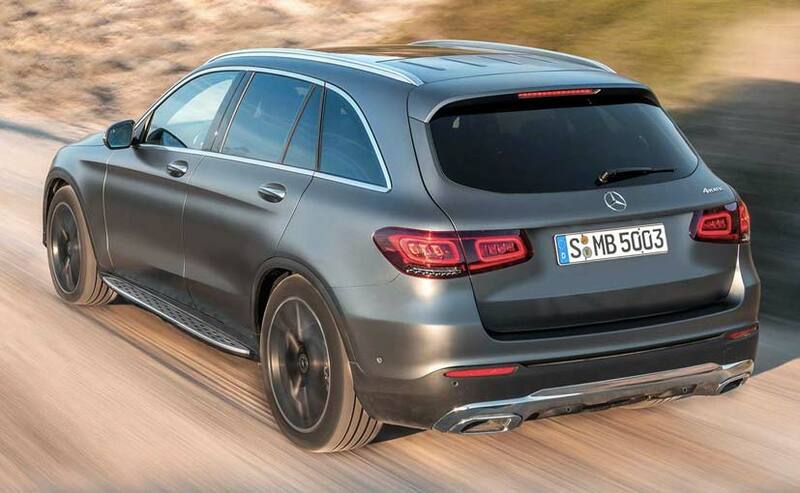 Visually, the new Mercedes-Benz GLC doesn't look all that different from the older model. However, the SUV does come with some new exterior characteristics like the new grille that now comes with fluted inserts for the twin slats along with a black surface for the three-pointed star logo at the centre. The headlamps are new and now come with LED units as standard with new LED daytime running lamps, along with a new front bumper, housing a new chrome element, and new angular air intakes. 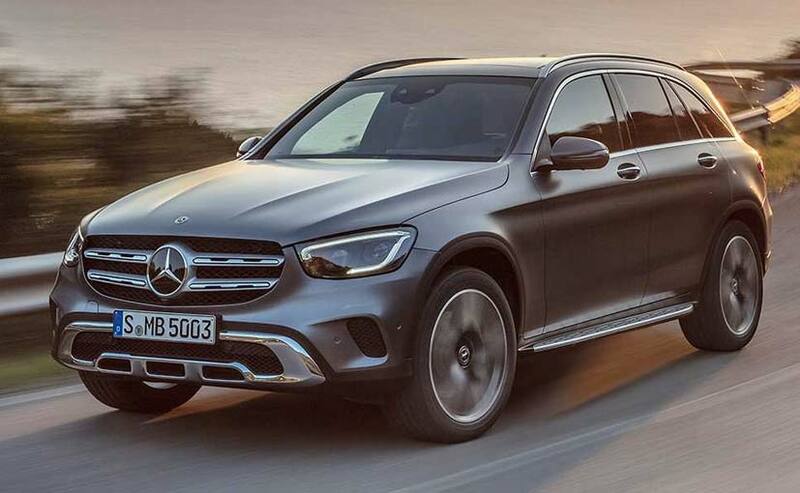 The 2020 GLC now comes in new body colour called graphite grey, with four different wheel options with diameters ranging from 17 to 19 inches and tyres with optimised rolling resistance being another new addition. The rear section, on the other hand, gets a revised set of LED taillamps with rectangular elements and the integrated exhausts have sharp-edged trapezoidal outline, instead of the existing more curvaceous appearance. The cabin too has received its fair share of updates, and the company is now offering new interior trim options. The interior of the Base Line is finished in black and the centre console trim gets the option of either piano lacquer finish or the two new wood surface finishes – open-pore ash wood and walnut. The multi-functional steering wheel and the multi-function touchpad for the centre console are also offered. However, the biggest highlight, of course, is the addition of the MBUX system that includes a digital instrument cluster and infotainment screen in a wide bezel. There are multiple options to access the system - the touchscreen display, touch control buttons on the steering wheel, voice control, gesture control, or the touchpad on the centre console. Another highlight in conjunction with MBUX is the Augmented Video optional extra, which complements the navigation in a useful way. A camera in front of the rear-view mirror captures the surroundings and automatically shows information on the multimedia display that complements the video image. The 2020 Mercedes-Benz GLC comes with the new range of four-cylinder petrol and diesel engines - GLC 300 4MATIC, GLC 220d 4MATIC, GLC 300d 4MATIC. The 300 4MATIC gets a 2.0-litre turbocharged petrol engine that makes about 255 bhp and 370 Nm of peak torque. In Europe this one also comes with an electric motor that offers an additional 10 kW of power and 150 Nm torque. The 2.0-litre diesel engine powering the 220d model makes 192 bhp and 400 Nm torque, while the 300d model makes 241 bhp and 500 Nm of peak torque. All models come mated to the 9G-TRONIC automatic gearbox. The new GLC also comes with advance features like – Dynamic Body Control suspension with infinitely adjustable dampers for the front and rear axle, which adjusts the damping as per the driving situation. It also gets the Off-Road Engineering Package which adds Off-Road and Off-Road+ driving modes. The Driving Assistance Package adds adaptive cruise control capable of braking to a stop, active steering assist, lane change assist, and route-based speed adaptation. Globally the SUV is slated to go on sale in Europe towards mid-2019, while India is likely to get it towards the end of this year or early 2020.